Archangel Design: For those looking for a unique terrain setting for all their 28mm zombie wargames and tabletop RPGs, no other environment is more exciting than a 1980s themed shopping mall that houses multiple retail outlets. 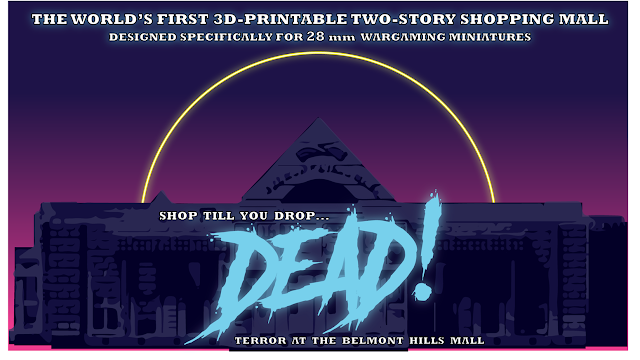 The Terror at the Belmont Hills Mall Kickstarter campaign offers backers a chance to gain exclusive access to a fully 3D-printable shopping mall, complete with two-story options such as escalators and catwalks, as well as full roof plan. The mall itself features more than 15 different retail outlets modeled on historical photographs of 1980s shopping centers, and can be assembled at any size.